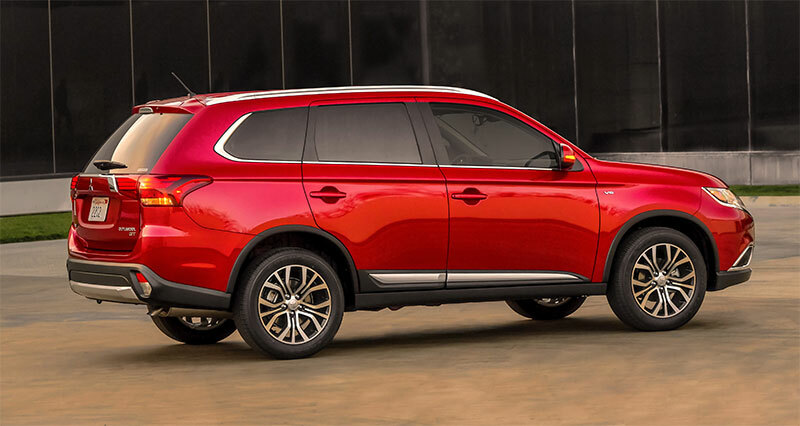 Much more than a traditional mid-cycle design “refreshing” that consists of minor aesthetic updates, the new 2016 Mitsubishi Outlander has been redesigned and reengineered to stand out in the competitive small crossover segment with its powerful and dynamic appearance and refined driving experience. Combined with Mitsubishi’s reliability and safety standards, the 2016 Outlander is an unmatched value. 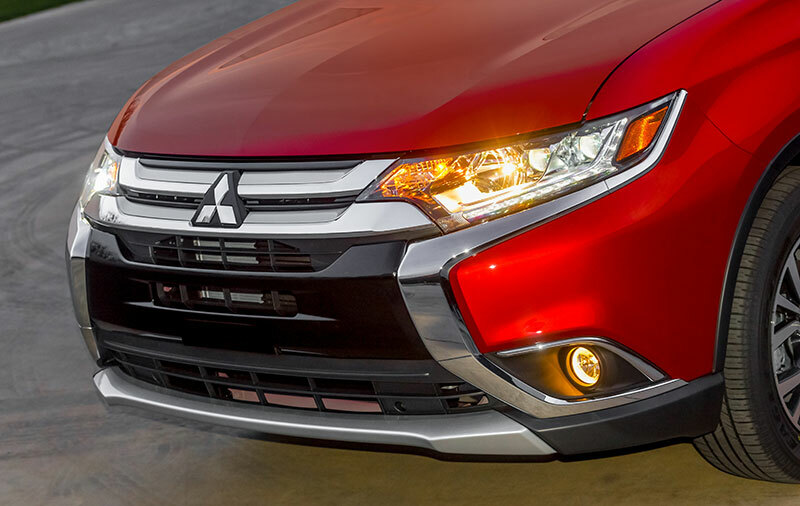 The 2016 Outlander features Mitsubishi’s new front design concept, “Dynamic Shield.” This feature is inherited from the bumper side protection seen on generations of the Montero, providing unique protection for both the people and car. 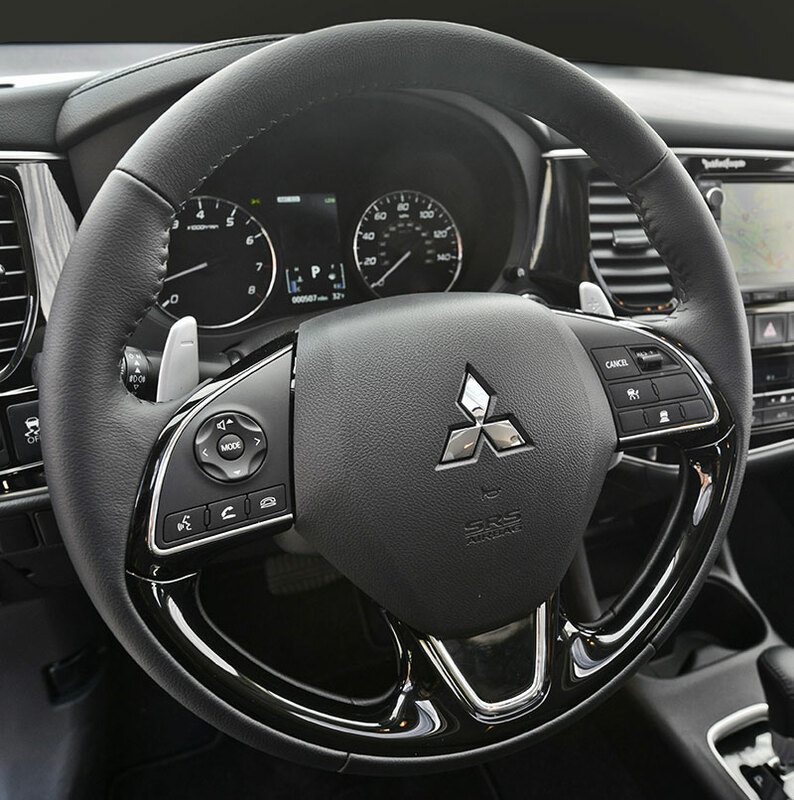 The 2016 receives a fresh design update to the interior incorporating soft touch features that also includes a redesigned steering wheel, a new Mitsubishi Multi Communication System(MMCS) navigation and display audio system and accent trim for the doors and dashboard, along with improved seating surfaces and headliner (all models) and an auto-dimming rearview mirror with Homelink® (GT model). Additional improvements include a newly redesigned folding rear seat for easier operation. The 2016 Outlander boasts improved handling and greatly reduced noise, vibration and harshness, along with increased body and suspension structural rigidity, for a quieter and superbly composed ride. Design improvements include redesigned suspension and Electric Power Steering, thicker rear door glass, more sound insulation throughout the vehicle, dynamic dampers on front and rear suspension and rear differential, improved weather stripping and engine compartment trim (all models). Another new feature is a new generation continuously-variable transmission for improved acceleration, performance, shift feel and torque delivery (all CVT-equipped models). 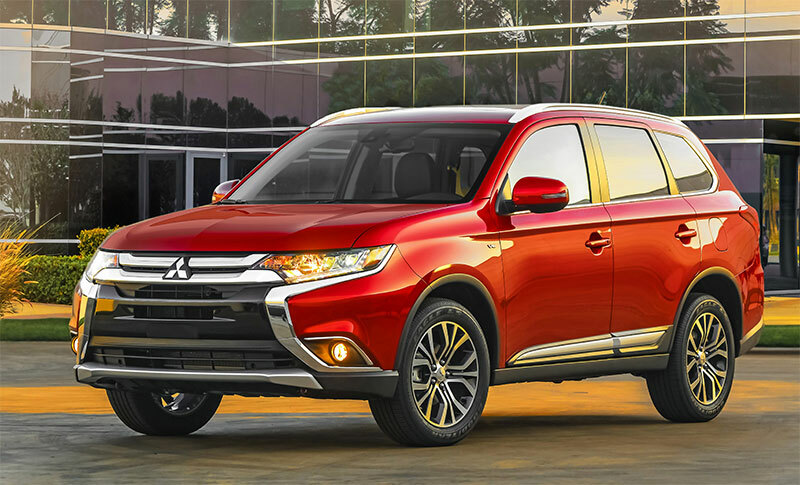 The 2016 Mitsubishi Outlander is available with advanced safety technologies including Forward Collision Mitigation (FCM), Lane Departure Warning (LDW) and Adaptive Cruise Control (ACC). The 2014 and 2015 Outlander are rated a “Top Safety Pick+” by the Insurance Institute for Highway Safety (IIHS) due to the optional Forward Collision Mitigation. Every 2016 Outlander also includes seven (7) Supplemental Restraint System (SRS) air bag with front air bags with passenger weight and driver’s seat position sensors, front seat-mounted side-impact air bags, and curtain side air bags with roll-over sensors; anti-lock braking system (ABS) with Electronic Brake-force Distribution (EBD) and Brake Assist; Hill Start Assist (HSA); Active Stability Control (ASC) with Traction Control Logic (TCL) and a Tire Pressure Monitoring System (TPMS). An additional layer of occupant protection is afforded by Mitsubishi Motors’ advanced Reinforced Impact Safety Evolution (RISE) safety body construction system that absorbs energy to help provide protection to the vehicle’s occupants. RISE safety structure technology is engineered into every vehicle in Mitsubishi Motors’ product lineup. Content and images provided by: Mitsubishi Motors North America, Inc.